With seven seconds left on the clock—fourth down and 18 yards to go and down by seven points—the Boise State Broncos quarterback Jared Zabransky completed a pass that was lateraled to Jerard Rabb for a game-tying touchdown and extra point, sending the Broncos into overtime against the No. 7 Oklahoma Sooners in the 2007 Fiesta Bowl. This play launched a series of prepared plays and made for one of the most memorable upsets in college football history. It included the wide receiver completing a pass for a touchdown in overtime, a Statue of Liberty play to complete a game-winning two-point conversion, and the running back who scored the game’s winning play proposing to his cheerleader girlfriend. A decade later, the running back who scored the game-winning two-point conversion, Ian Johnson, recalled the historic hook and ladder play that set up his team’s victory. He said, “We had run that play in practice every Friday during game week, and we’d never used it…If it was going to work, this was the moment.” Boise State’s success was credited to their intense and relentless preparation not only to defeat the Sooners but to go undefeated that season. Preparation is a necessary key to success. Successful athletes, coaches, parents, and businessmen make the effort to create a plan and then take action to carry out their plan. If you are an athlete, what are you doing to prepare? The coming year will bring a multitude of opportunities to showcase your talent, grit, and will to win. However, history shows that success (luck, as some may put it) will always favor the prepared. In this modern age of competing as an athlete, relying on talent alone is rarely enough to propel you to the top, and if it is, it is not enough to keep you there. Championship athletes are made in the time spent between the end of one season and the beginning of another. Intermountain St. George Acceleration has prepared a scientific approach to maximizing human performance and training athletes. The professionals at Acceleration have prepared protocols that have proven to be a blueprint for success in developing speed, agility, power, stamina, and overall athleticism. Their team of exercise physiologists are uniquely qualified, not only holding degrees in their field of study but also having additional certification, training, coaching experience, and competition experience. 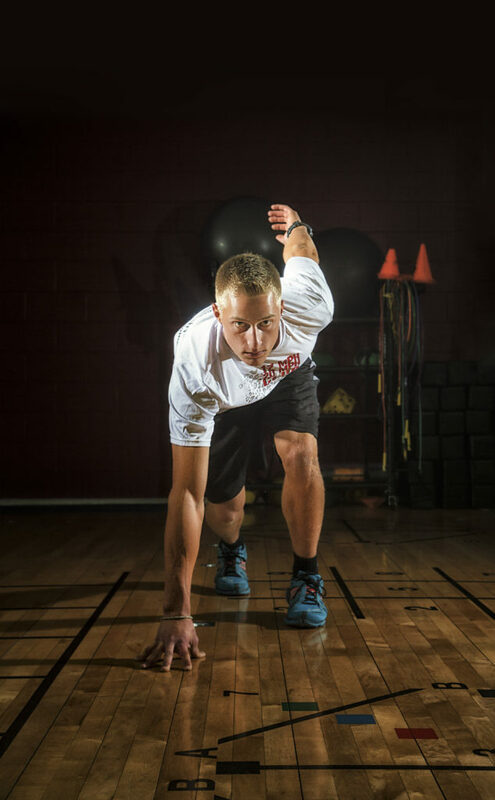 This holiday season, Intermountain St. George Acceleration offers an opportunity for athletes with the will to win. The Season of Speed kicks off November 12 and runs through December 31, giving athletes a chance to save $90 on a 10-week, 22-session training package. When you purchase your program during the Season of Speed, you can choose to start training upon purchase or choose to use it anytime in 2019. No matter what sport or activity you compete in, the Season of Speed will help you get the timing right to prepare for your best season yet!